It looks like the Medicare Part B Premium may go up again in 2017. 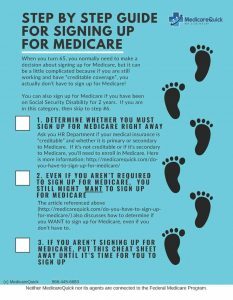 Last week the Medicare Trustees Report was released. This report is issued every year. It gives us a glimpse as to what the Part B premium and deductible might look like for 2017. It's a long report, I know. It's 268 pages. Take a look at page 206 of the Medicare Trustees report. You'll see that it projects a 23% increase for the Part B deductible. Dropping the pennies, it projects the premium will go from $166 in 2016 to $204 in 2017. Yes, I admit that I haven't read the entire report cover to cover. According to CSG, the estimated 2017 COLA (cost of living adjustment) is 0.2%. Just like in 2016, 70% of Medicare Part B beneficiaries would only get a 0.2% increase for their Part B premiums. This is due to the Hold Harmless Provision. The hold harmless provision basically states that if you're receiving social security payments, Medicare premiums cannot increase more than your cost of living increase. However, this doesn't cover people who are NOT receiving Social Security. Who isn't receiving Social Security? 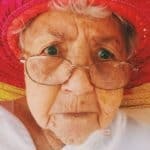 If you are utilizing Social Security Maximization techniques, that's you. And that 23% increase in Part B premiums will hit those people hard, right in the wallet. CSG went on to say that the reason the increase is so high for the remaining 30% is because the people who are paying the increase pay it for everyone…including the 70% who's increases are held back by the hold harmless provision. For them, the Part B deductible goes up by the same amount as the full Part B premium, and they wind up with the 23% increase. Additionally they mentioned that the hold harmless provision could be ignored for the purposes of calculating the Part B premium, if the COLA is 0% instead of .2%. If this happens, they said, you won't see such a large increase in the Part B premium. The good news is that Congress can pass a temporary fix to stave off these huge increases to the Part B premium. To find your congress person to give them your opinion on the matter, go to http://www.contactingthecongress.org/ and enter your address. You'll get the address, phone number, and even twitter addresses so that you can make contact. If you want to receive articles like these every month, sign up for our newsletter HERE. Or give us a call at 866-445-6683.